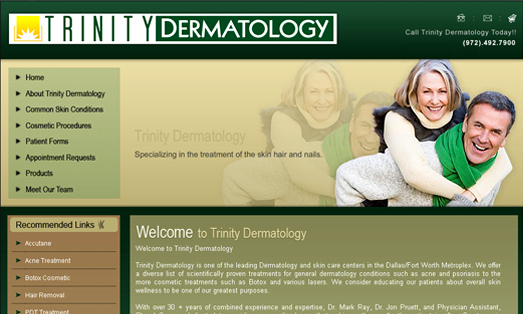 Trinity Dermatology is one of the leading Dermatology and skin care centers in the Dallas/Fort Worth Metroplex. We offer a diverse list of scientifically proven treatments for general dermatology conditions such as acne and psoriasis to the more cosmetic treatments such as Botox and various lasers. We consider educating our patients about overall skin wellness to be one of our greatest purposes.